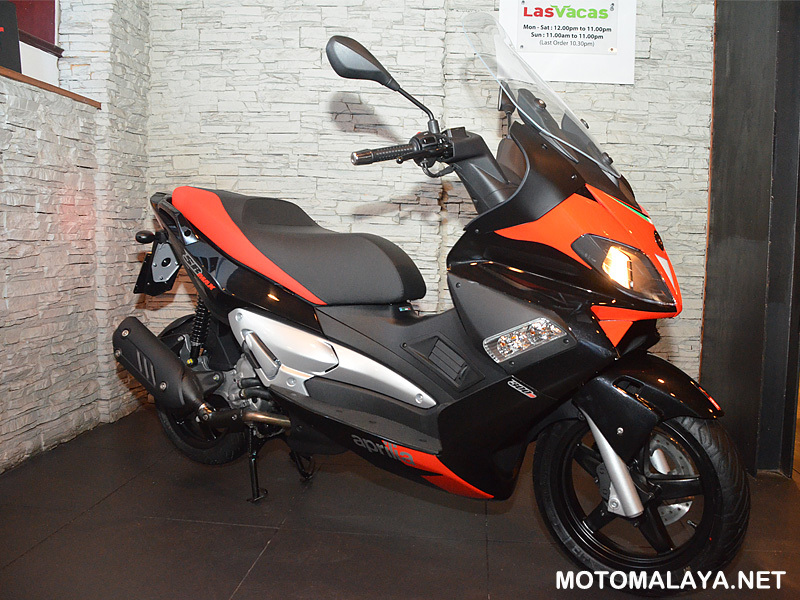 Naza Premira launches new Aprilia SR Max 300 maxi scooter with a special introductory price of RM28,800. 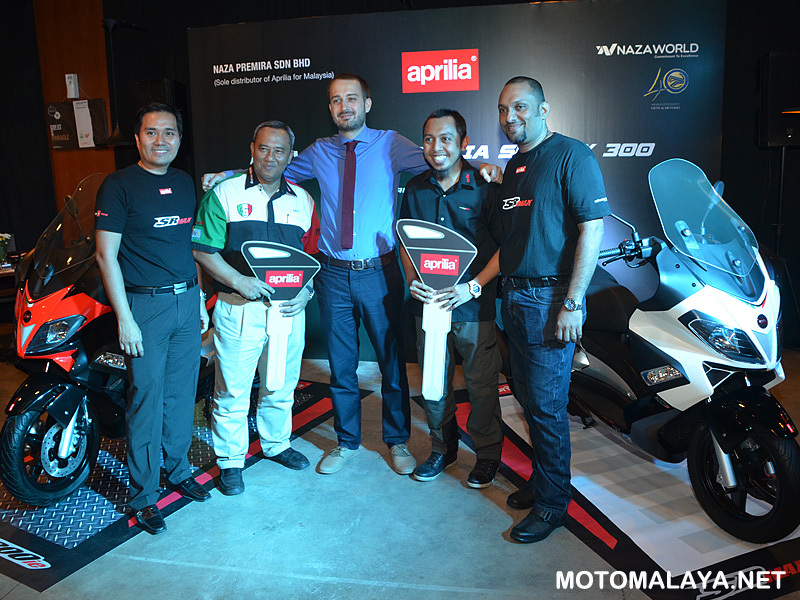 Naza Premira , official Malaysian distributor of Aprilia bikes, marked the arrival of its latest offering, the all-new Aprilia SR Max 300 maxi scooter model, earlier this week. 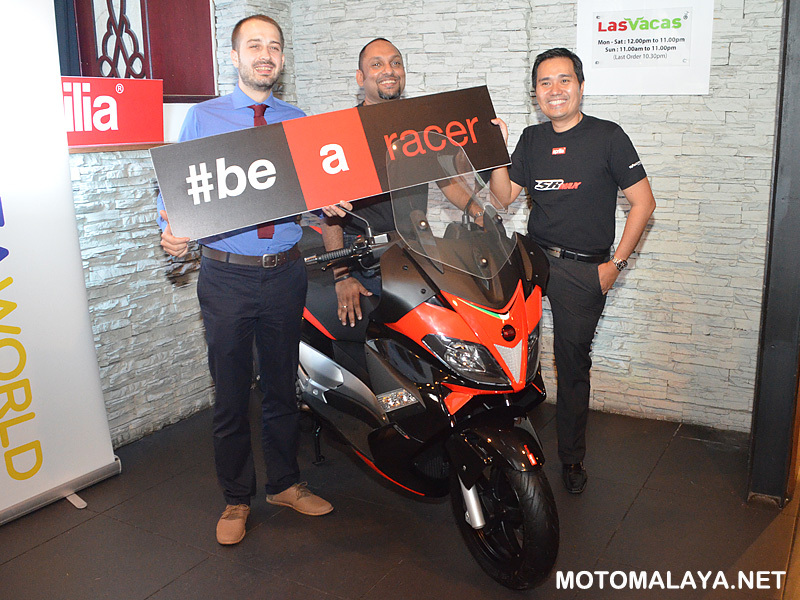 Present to introduce the bike alongside Naza Premira’s top brass was Piaggio Asia Pacific area sales manager Neri Miclau, and Naza Two Wheels Division vice president Juan Chow Wee. 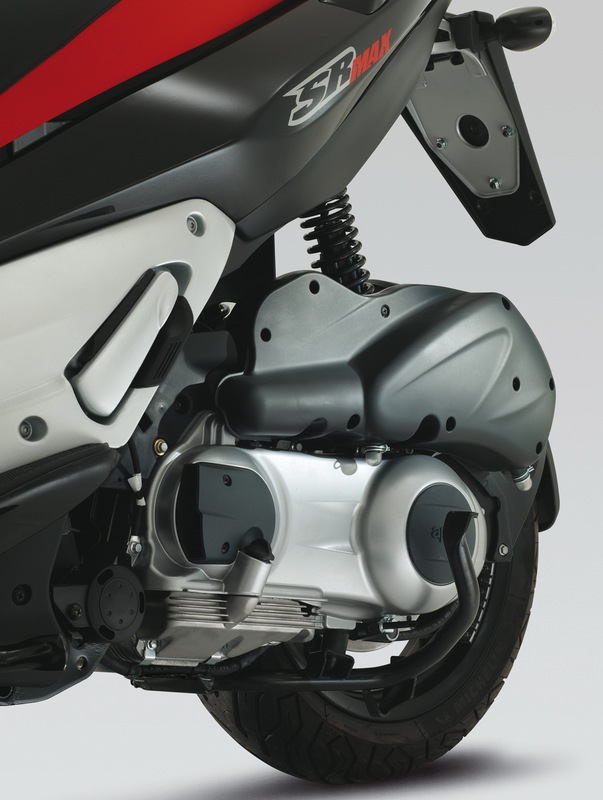 As you can see from the images provided, the new SR Max 300 maxi scooter has got plenty of style and presence, which is also matched with a high amount of power as well. The maxi scooter was built with all-round agility and versatility in mind for both urban and long-distance riding as well. Underneath, the Aprilia SR Max 300 underpins a double cradle trellis chassis design made using high strength tubular steel. Encased here is a liquid-cooled 278cc four-stroke and four-valve single-cylinder mill primed with electronic fuel injection that develops 22hp @ 7,250rpm and peak torque of 23Nm @ 6,000rpm, and is paired with a twist-and-go CVT automatic transmission unit. Amongst the highlights in the SR Max 300’s specifications include a large 15.5-litre fuel tank (including a 2.8-litre reserve), as well as all-round disc brakes measuring 260mm up front and 240mm in the rear. Its seat height stands at 815mm, and the maxi scooter weighs in at a very light 161kg as well. Available for viewing and purchase via authorised dealers nationwide, the new Aprilia SR Max 300 maxi scooter is being offered at special introductory basic selling price of RM28,800 for the first 50 buyers (6% GST inclusive). Its regular basic selling price starts from RM31,800 (6% GST inclusive) instead. 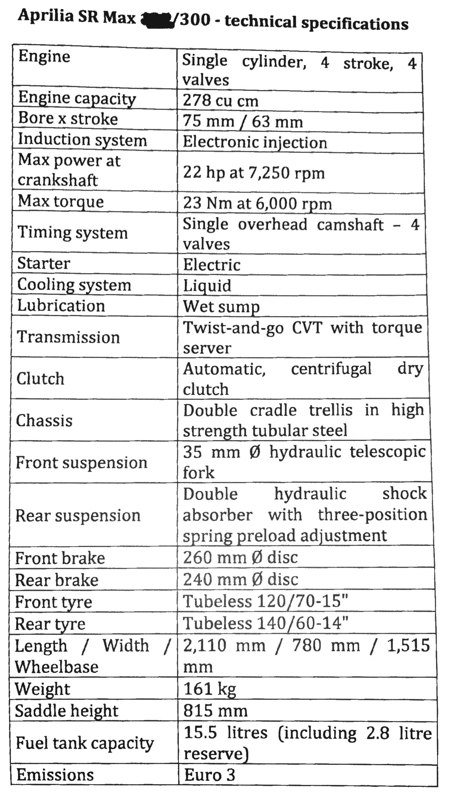 Both prices includes a two-year or 20,000km manufacturer warranty as well. Check out the gallery below to see more of the all-new Aprilia SR Max 300 maxi scooter. Previous: Kawasaki Ninja 300 and Z300 are coming to Malaysia? Next: Scrambler Ducati can be yours for just RM57,333!